Chef Michael Reed feeds off his coastal roots and extensive culinary background for the seasonal, rustic California menu at Viviane, the poolside restaurant at Avalon Beverly Hills. Born and raised in Oxnard, CA, Michael Reed grew up in the quaint farming community on the coast of California. Reed attended University of California, Santa Barbara on a track and field scholarship where he studied business, but quickly realized his passion for cooking and enrolled in the Culinary Institute of America. While in culinary school, Reed commuted from the Hyde Park campus every day to cook at The Modern, the acclaimed restaurant at New York’s Museum of Modern Art. After graduating in 2008, Reed returned to Southern California and worked for David Myer at Sona, as well as Nancy Silverton’s acclaimed Osteria Mozza in Los Angeles. In 2011, Reed started his own high-end catering company, Root of All Food, which he still owns and operates. Root of All Food specializes in high-end boutique catering, in-home cooking, and events for celebrities and CEOs throughout Los Angeles. During the summer of 2014, Reed opened beloved DTLA restaurant, Poppy + Rose, specializing in classic American diner fare with honest ingredients. 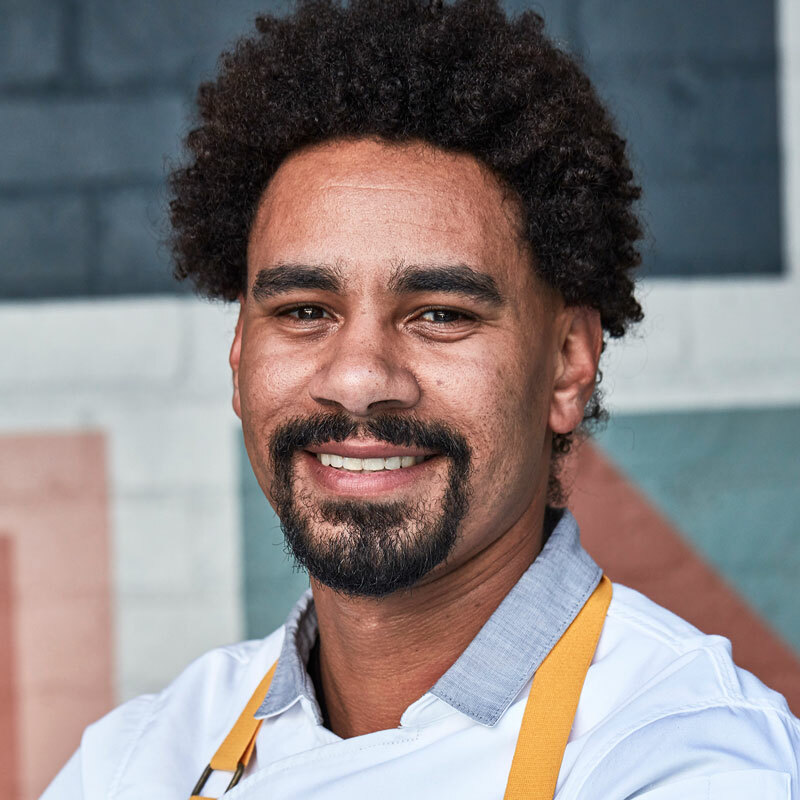 In late 2017, Reed joined the team at Viviane, where he uses his experience in the industry to create rustic, refined dishes with seasonal ingredients in a chic poolside setting.